On Sunday, 15 June 2014, Christ the Savior Church in Paramus NJ welcomed Bishop Michael for an Archpastoral visit. 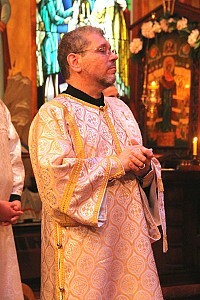 During the Hierarchical Divine Liturgy, His Grace ordained Subdeacon David Maliniak to the Holy Diaconate. 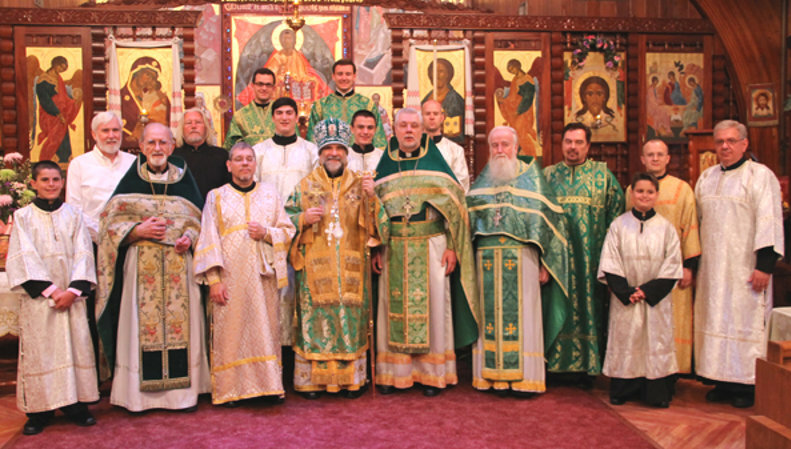 Deacon David, who is also the Senior Warden of the parish, is a 2014 graduate of the Diocesan Diaconal Formation Program in conjunction with Saint Tikhon’s Seminary, Philadelphia campus. Deacon David’s family (Matushka Elizabeth and their daughter Sophia), the parish community, and visitors enjoyed a delicious brunch following the Divine Liturgy. Serving with Bishop Michael were: Father David Vernak (Rector), Father John Nehrebecki (Pastor Emeritus), Father Joseph Frawley (Saint Martin Chapel, West Point NY), and Deacon Theodore Gregory (Saint Gregory Palamas Church, Glen Gardner NJ). On hand to celebrate his ordination were Deacon David’s diaconal formation program classmates from Saint Stephen’s Cathedral in Philadelphia PA: Michael McCartney (Assumption of the Holy Virgin Church, Philadelphia), John Black (Holy Trinity Church, Pottstown PA), Edward Dawson (Church of the Mother of God, Mays Landing NJ), and Russell Komline (Mother of God, Joy of All Who Sorrow Mission, Princeton NJ).